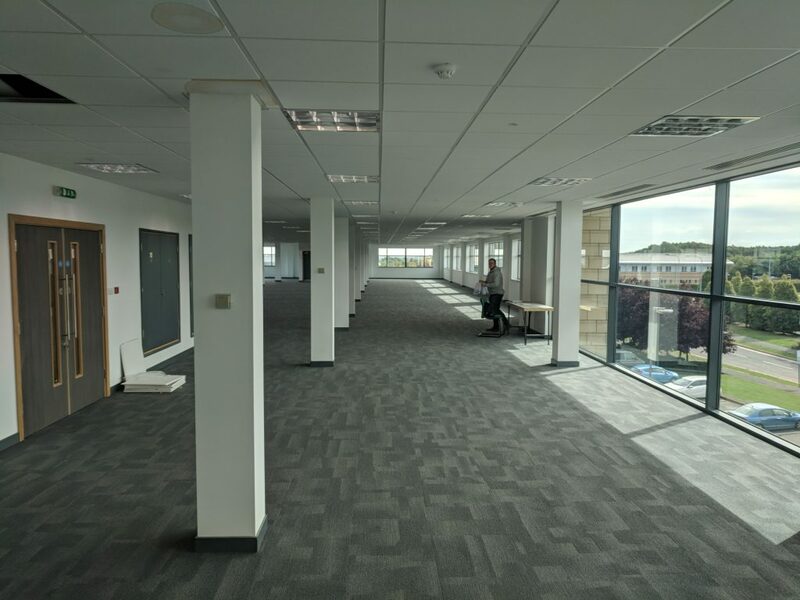 If you stay up-to-date with the latest news from our parent company, Advanced Commercial Interiors, you will have heard that they have recently started their largest glazed partitioning job ever. 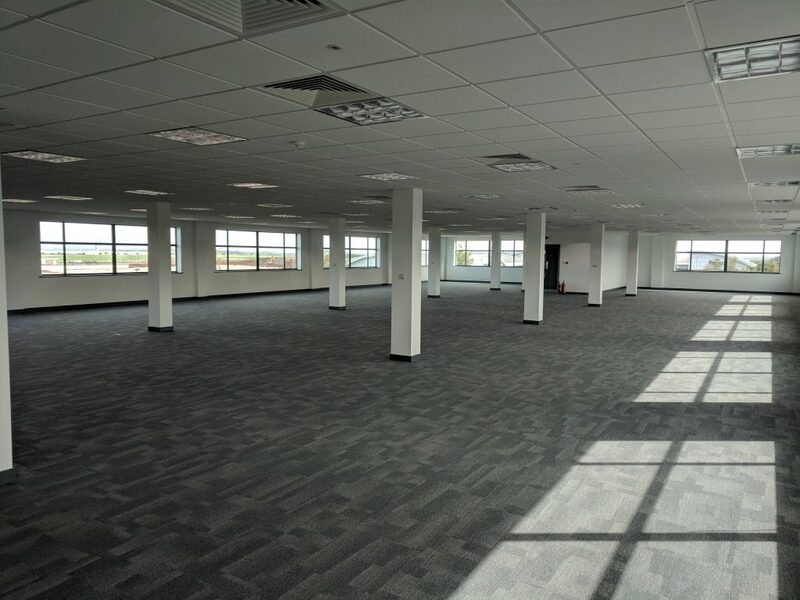 As part of these works, Commercial Electrical have an integral amount of involvement with the project, completing the full electrical and data works for this 100 person office. 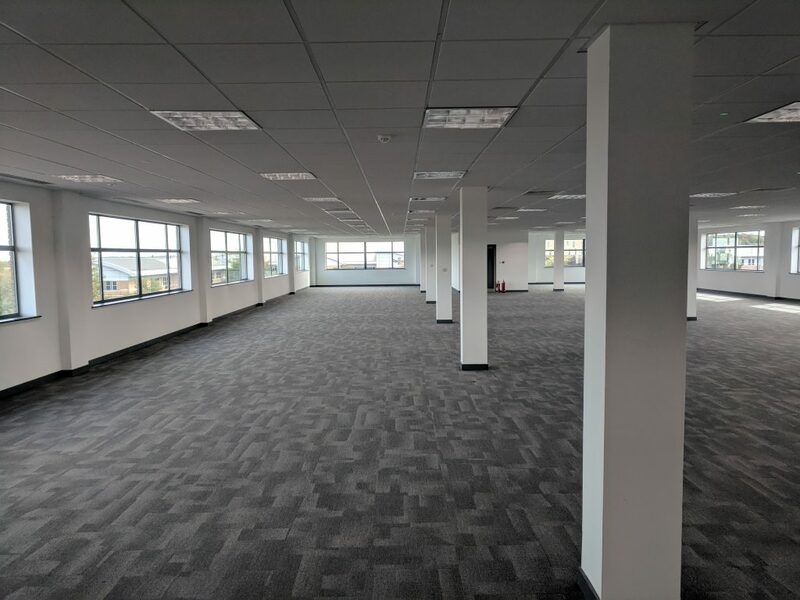 This includes the installation of new LED lighting across the entire space, complete with new small power provision with new floor boxes being fitted to the raised access floor, CAT 6 data points throughout and also managing the alterations to the HVAC system. For more information, or if you are planning your own electrical project, get in touch with the team today. Give us a call on 0115 736 5986 today.